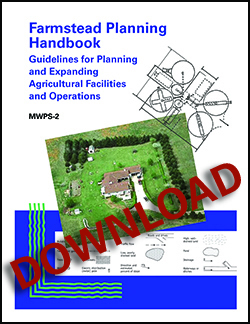 This well-illustrated, easy-to-read publication shows how to locate, plan, build, and expand a working farm—small or large. More than 100 illustrations and 59 tables plus interactive web site links supplement chapter text. A sample expansion plan completes this publication. An email will be sent with a link to retrieve your pdf download. Farmstead Planning Handbook was originally offered on a CD.